UN - A high-level meeting on environment and health in Europe today appealed urgently to all European countries to eliminate asbestos-related diseases, as a new United Nations report showed that one third of the 900 million people living in the region are potentially exposed to asbestos at work and in the environment. 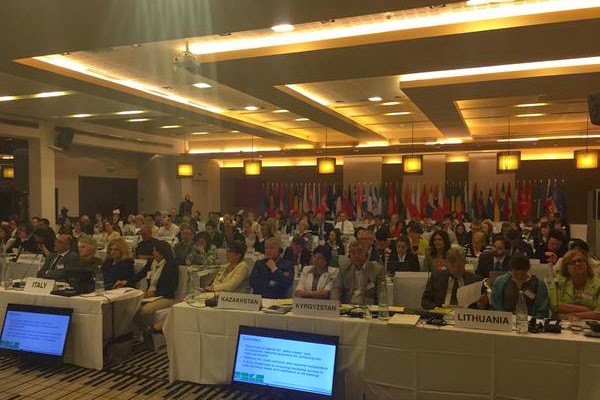 “We cannot afford losing almost 15,000 lives a year in Europe, especially workers, from diseases caused by exposure to asbestos,” Dr. Zsuzsanna Jakab, the World Health Organization’s Regional Director for Europe was quoted as saying in a press release issued in Haifa, Israel, where more than 200 delegates met from 28-30 April to evaluate progress on environment and health in Europe. “There is very little time left for that,” she said. Elimination of asbestos-related diseases was one of the major issues discussed at the Haifa meeting, according to WHO. The report presented at the meeting, indicated that asbestos, a group of natural fibrous minerals, is responsible for about half of all deaths from cancers developed at work. According to new estimates, deaths from mesothelioma in 15 European countries cost society more than 1.5 billion euros annually. The 16 countries that have not yet banned all forms of asbestos are: Albania, Andorra, Armenia, Azerbaijan, Belarus, Bosnia and Herzegovina, Georgia, Kazakhstan, Kyrgyzstan, Monaco, the Republic of Moldova, the Russian Federation, Tajikistan, Turkmenistan, Ukraine and Uzbekistan, according to WHO. “At its closure, the high-level meeting on environment and health urgently calls upon all European countries to eliminate asbestos-related diseases,” the WHO press release said. Those countries present at the meeting also renewed their pledges to work towards meeting the time-bound targets they adopted in 2010. The five time-bound targets adopted by countries in the European Region in 2010 are to: provide safe water and sanitation to all children by 2020; create healthy and safe environments for children in their daily life by 2020; make children's indoor environments free from tobacco smoke by 2015; safeguard children’s environments from toxic chemicals by 2015; develop policies to eliminate asbestos-related diseases by 2015.